Mesotherapy - Does it work? TOP 15 THINGS YOU NEED TO KNOW ABOUT PRP (PLATELET RICH PLASMA) IN GUWAHATI, ASSAM. Dr. P. J. Mazumdar is the hair transplant doctor of Arogyam Hair Transplant Clinic in Downtown Hospital. He is the pioneer in the best technique of FUE, Blunt Motorised FUE, in hair transplant and is the pioneer FUE Hair Transplant specialist of Guwahati, Assam and NE. He has the highest qualification in hair transplant in the North East and is the first and only American Board Certified Diplomate in Hair Transplant from the American Board of Hair Restoration Society in North East India. All procedures and counselling are performed strictly according to standard American and International ethical and technological guidelines. Downtown Arogyam Hair Transplant Clinic is based in Downtown Hospital, Guwahati, the largest private hospital in the North East which is a highly prestigious and recognized institute of the region. The head of the department of Arogyam Hair Transplant Clinic is Dr. P. J. Mazumdar. Downtown Arogyam Hair Transplant Clinic is the pioneer in FUE Hair transplant in the North East and performed the first FUE Hair transplant in the North East in 2012. Dr. P. J. Mazumdar, Ms (ENT), FICS, was born and brought up in Guwahati. He has had a brilliant academic career throughout. He was schooled in Don Bosco High School Guwahati, subsequently studied HS in Cotton College Guwahati and received his medical education in Guwahati Medical College. He achieved Star marks in Higher Secondary with the 16th position in the state, attained the First position in the state in the Medical Entrance examination and was awarded the Best PG Graduate in the PG examination from Guwahati University in ENT, 2001. He became a Fellow of the International College of Surgeons in 2016 (FICS). He first received training in Hair Transplant under Dr. Sanjay Vasa in Ahmedabad who is the pioneer of hair transplant surgery in India. He subsequently trained under Dr. Sam Harris, the founder of Modern Motorised FUE technique and also the inventor of Robotic hair transplant, and also Dr. Besham Farjo and Dr. John Cole, all well known masters of FUE hair transplant. He continues to follow strictly all the recent advances in hair transplant and attends all the academic forums regularly, both at the international and national levels. He has attended every conference of the Association of Hair Restoration Surgeons of India since 2012 besides many other conferences and academic forums, including the recent FUE workshop of ISHRS in Dubai in 2018. These forums are vital for remaining up to date on all the recent advances in knowledge and techniques in the field. Dr. P. J. Mazumdar is also a member of the AHRSI (Association of Hair Restoration Surgeons of India) which is the official body for hair transplant in India. He is also a member of the Ethics Committee of the AHRS. Membership of the AHrS is granted only to doctors who have an established reputation in the field and are recognized by their peers and who follow all ethical and legal norms as mandated by the AHRSI. The guidelines of the AHRS are in tune with those of the ABHRS and ISHRS. 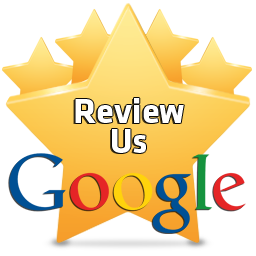 Arogyam Hair Transplant Clinic was founded in 2011 and first surgery was performed in 2012. This was the first FUE Hair Transplant in the North East. Arogyam has been a specialized FUE Clinic from the beginning and is the pioneer in FUE technique in the North East. Since then, thousands of patients have been examined and more than 500 procedures performed till date. Patients from every state in the North East and also neighbouring states like West Bengal, Sikkim, Bihar, UP and Jharkhand have been operated upon and even patients from far off states like Maharastra and Kerela have been operated. A large number of NRI's from several countries, namely UAE and Gulf region, US, UK, New Zealand and Canada have also been operated upon, and also citizens of Bhutan, Nepal and Bangladesh. Arogyam Hair Transplant Clinic at present is the most popular Hair Transplant clinic in the North East and performs the highest number of hair transplant surgeries in the NE annually. This number is growing continuously as hair transplant becomes more and more popular in the NE and people from all walks of life have become aware of the power of this technique which can enhance their lives tremondously. Dr. P. J. Mazumdar follows the international norms established for Hair Transplant by authorities like ISHRS (International Society of Hair Restoration Surgery), ABHRS (American Board of Hair Restoration Surgery) and AHRSI (Association of Hair Restoration Surgery of India). These norms have been established to protect patient's safety as well as to ensure that the patient receives proper care for the best possible results. In accordance with these norms, the two main steps of the hair transplant procedure, slit making and harvesting, are done by Dr. P. J. Mazumdar himself. These steps involve making incisions in the patient and both ethically and legally should always be done by the surgeon, but sadly is too often left to technicians in today's environment of hair transplant. In addition, the two vital pre-operative steps of counselling and hairline design are also done by Dr.P. J. Mazumdar. Planting is done under his supervision and the doctor remains present in the OT room throughout the procedure. Arogyam Hair Transplant and Cosmetic Surgery Clinic operates as a medical entity and not as a business center, and hair transplant here is treated as a medical procedure rather than a profitable trade. While we do not claim to offer the cheapest rates, we can justifiably claim to provide a full medical procedure which will guarantee the safety of the patient and which follows the latest knowledge and techniques to ensure the best possible results for the patient. The academic certificates of Dr. P. J. Mazumdar may be examined here: Academic Certificates. For more info on Hair Transplant, fill in the details below and submit: Our Representative will contact you very shortly. New: Online consultation tool for graft estimate. Upload five pictures of your head - front, back,top, left and right profile, to get an estimate of the grafts that you will need. 100% safety assurance: all procedures are done in the main OT of Downtown Hospital with its full complement of anesthesiologists and critical care specialists. Hence patients are assured of full safety standards at the same level as that of major surgeries including transplant surgeries. 100% sterilization assurance: since procedures are done in the major OT full sterilization is maintained. Fumigation is done every week and swab tests are done to check for contamination. Best instrumentation: Arogyam Hair Transplant Clinic uses the best available instruments like 6X Heine Loupe for precision and accuracy, Blunt Titanium punches which avoids damage and transection of the grafts, Choi implanters to standardise the process of planting and prevent damage during planting, Major OT level sterilization, fumigation and autoclaving of all instruments, etc. Efficiency count: Efficiency counts for FUE like transection rates and speed of transplant are noted and documented for each case and reviewed every 10 cases. Arogyam Hair Transplant achieves international standards of transection and speed consistently. Correct recepient density: To ensure correct recepient density, 'density stamps' are used to ensure proper density is achieved. Angle and direction of hair is meticulously maintained. Out of body time: The out of body time, the time for which the graft is outside the body, is the most critical factor for success in hair transplant. 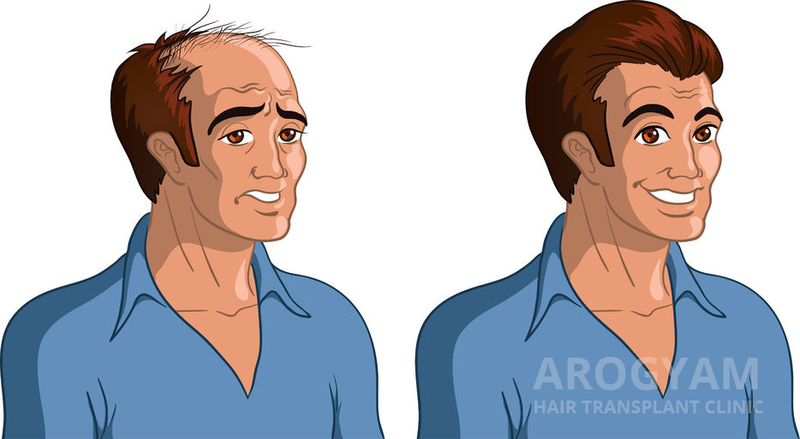 Aroyam Hair Transplant follows a special procedure to ensure that this time is the minimum. This is done by doing only 500-600grafts at a time and then replanting them. This ensures that time out of body is less than or equal to1 hour only. This is the shortest period acheivable. Many centers do upto 2000-2500 grafts at a time so that time out of body goes upto 4-5 hours. We are proud of our time out of body quantum. Though this may cause some sacrifice of time but results are more important. Follow up: follow up period is critical for the patient when there are many doubts and anxieties in his mind. In our clinic, Dr. P. J. Mazumdar will remain always accessible to the patient directly on his personal cell for any questions the patient may have during this period. The academic certificates of Dr. P. J. Mazumdar may be examined here: Academic Certificates. His resume can be perused here: Resume. To find the contact address and other details, go to Contact. The blog contains various blog posts mainly on Hair Transplant. To see photos of hair transplant cases done in Downtown Hair transplant clinic, go to Photos>Results from the Navigation menu. 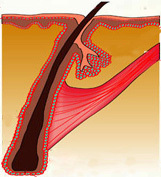 To see videos related to Hair Transplant Procedure, go to Photos>Videos from the Navigation menu.